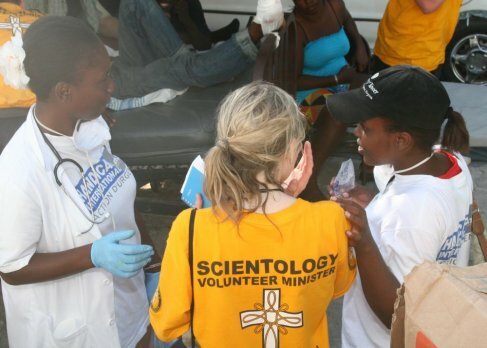 Scientology Volunteer Ministers from all over the world continue to arrive in Haiti to do whatever is needed to help the people of this country. 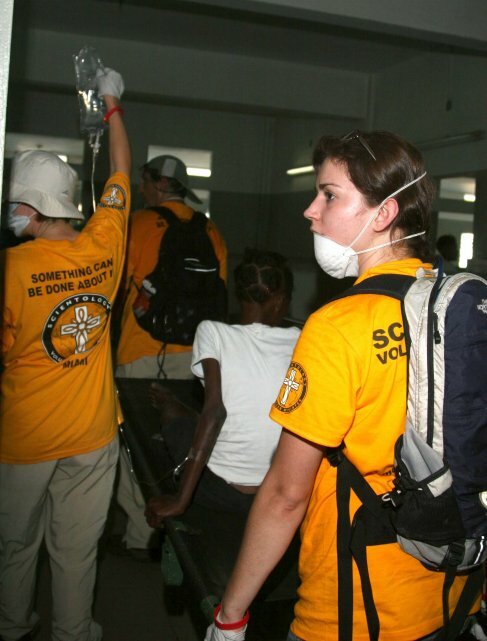 Their transport has been made possible by the donations, large and small, of many Scientologists who are members of the International Association of Scientologists. 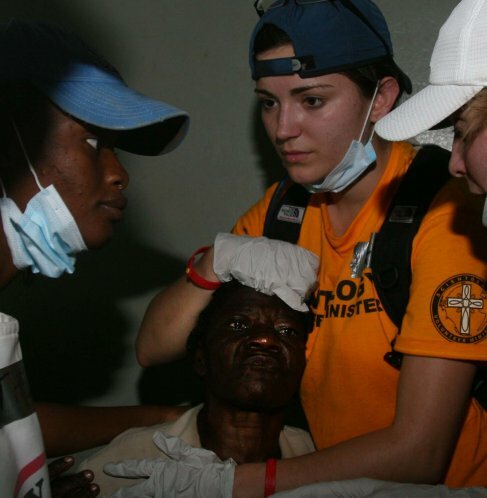 Ellen, a Scientology Volunteer Minister from Mexico, and her team at the General Hospital in Port-au-Prince, sent us photos that give a glimpse of what they have encountered and what it is like to be there. 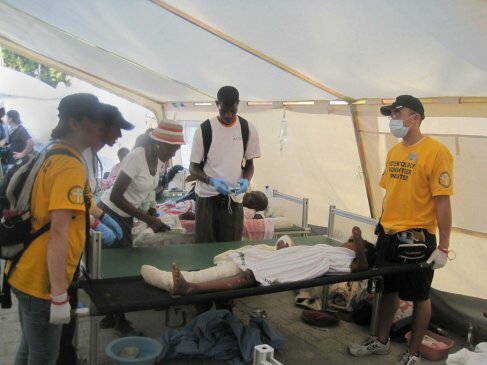 Following a report that predicted another earthquake in Haiti, all the patients were evacuated from the General Hospital in Port-au-Prince and were being treated on the street. 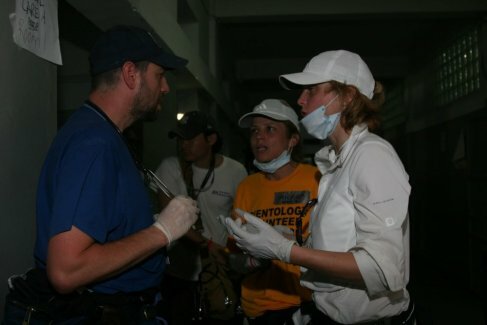 The Scientology Volunteer Ministers team helped with the evacuation. The General Hospital in Port-au-Prince runs on two shifts—one from 7 a.m. to 7 p.m. and one from 7 p.m. to 7 a.m. As there is a curfew at night these schedules are strictly adhered to by everyone. This young girl in this photo was operated on in the Intensive Care Unit and was brought to a calm area for recovery. 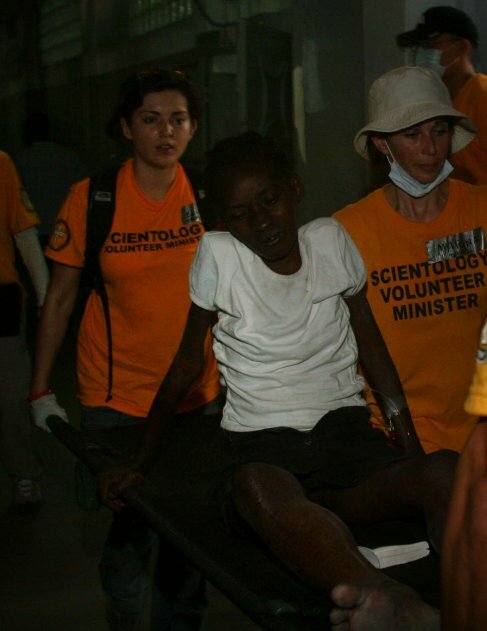 The Scientology Volunteer Ministers have taken on the job of moving patients from one location to another in the hospital. Sometimes a kind word is best "medicine." 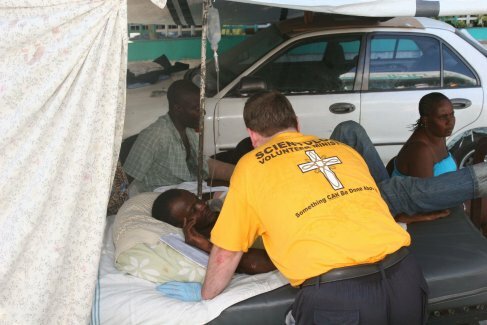 A Volunteer Minister comforts a patient. 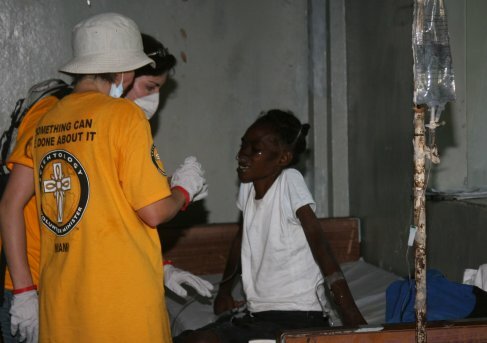 Over the past seven days many humanitarian organizations have sent volunteers to Haiti. We are all pulling together to help the people of Haiti get back on their feet.